SEO or Search Engine Optimization is the most talked thing in the blogosphere. You many have seen various companies offering this service with various claims. Bloggers, web developers, and online business persons consider SEO is one of the most important factor for them which affects their online income. If you are new to blogging or online business, you should surely learn about SEO. SEO is the thing which can boost your online presence without spending in marketing and online advertising. In this article, i will try to explain SEO in simple words. Search engine optimization is commonly abbreviated as SEO. SEO plays very important role in the success of a website. 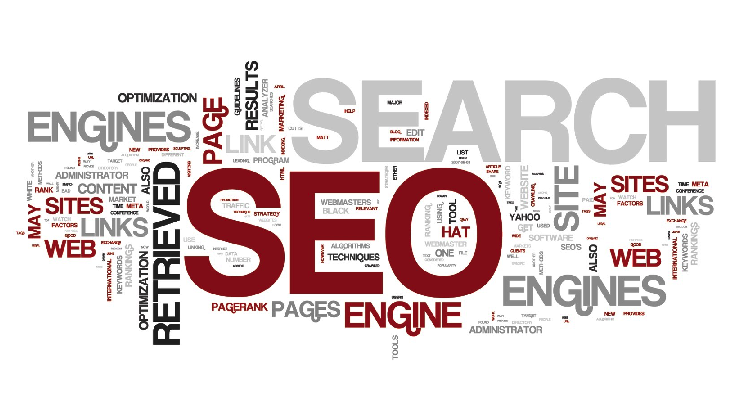 SEO is the process of improving the website’s visibility on the search engines search results (organic results). It makes sure that your website will appear on the first page of Google when people will search something related to your business or article your wrote. This is website optimization process which tells search engines about website’s construction and content. This must be considered for a website if you want it to perform well and get better rank in search engines’ search results. SEO is long-term and ever changing process. So, you must start and keep on learning things based on your experience, Google’s algorithmic changes, and your website’s performance. In simple words, SEO is simply a process of making sure your website is structured in the way that search engines understand it. The better they will understand your website, the better your website will rank. The simple objective of SEO is to generate more valuable website traffic. In SEO, we consider a good search keyword and then try to target the website’s page for that keyword. If you are a blogger and want to earn good money then you must follow SEO rules to optimize your website. If you own a website, you will also think about getting people around the world to access and enjoy your content. So, you must understand the SEO and learn how to use it to get more exposure without spending on marketing. Most of the people search on Google, Bing, Yahoo or other search engines for content or services they are looking for online. They will type their query on search engines and then check the results they got. For anything a person look for, there are thousands or millions of web pages offering content. This is why search engines rank these pages based on relevancy. Now think if you are offering service about web design. You will wish your website to come on the first page or even in first place on Google when people search for Web design services. But you are not the only one wishing the same thing. There are thousands of other people think about the same thing. So, your website will have to compete with those thousands of websites to come in first place for the keyword you want. So, you will have to make sure that your website’s structure and content is easy to understand for Google or other search engines to know that your page is better than your competitors. This is why your website needs SEO. Right SEO can boost your ranking while a single wrong step can push your website down. So, you must learn SEO before doing changes. A search engine optimization process is mainly divided into four interrelated phases. 1. Pre-site activities – These are the research and planning activities that must be undertaken before an existing or new site or page is actually touched or built. Read: How to optimize the website for a keyword. 2. On-site activities – The activities directly involved in the content and design of web pages. When we are writing the content and designing the page, we must follow these tips. These tips involve keyword research and on page SEO. Writing the title, description, and keyword meta tags of the page. Writing content – Body copy, titles, image tags, outbound links that reflect and enhance keywords. Site design and construction – Ensuring the web page utilizes design and code that can be properly crawled and indexed by the search engines. 3. Off-site activities – Building a portfolio of quality inbound links to your website. It also includes social media sharing, link building, and blog commenting. 4. Post–site activities – Analyzing and responding to site traffic and user feedback once a website has been optimized. Effective SEO is a continuous activity. For optimizing your website, you should try to apply all four phases of SEO process on your website. Most important in SEO is meta tags, keyword density. Web site’s title and meta tags are still read and indexed by all the major engines. Text within title tags has a greater weighting than ordinary copy. Within HTML code titles are marked up h1, h2, 3 tags etc. Therefore, whenever a paragraph title is used it is wise to use a keyword or keyword phrase. Content must be proper and there should be no spelling mistakes. Google now try to rank good content well. So all these things are now more important. Search engines can read the alt tags that accompany JPEG, and GIF images. Every relevant image should have an alt tag and this tag should be written to comply with your keyword objectives. The text in an alt tag is believed to be given additional weight. For Google ranking purposes a link from a high Page Rank site has even greater influence. It means if a page has a link from a page of high rank it will give it extra weight. If you have something to share, you can share with us via comments.